The island nation of Taiwan is located just over 100 miles east of China, and although it is much smaller than its massive neighbor, Taiwan has a lot to offer visitors. 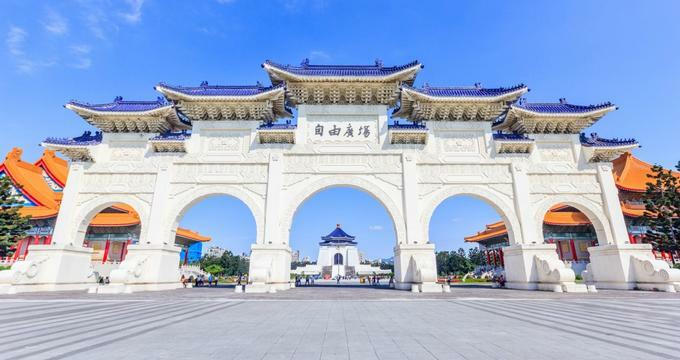 Those looking for culture can visit the National Palace Museum, where they will find one of the world’s largest collections of Chinese imperial artifacts, or one of the many Buddhist, Taoist, and Mazuist temples in the country. Tourists looking for natural beauty will also find that in large supply, with the otherworldly rock formations of Yehliu Geopark and the breathtaking cliff walls and waterfalls of Taroko Gorge. 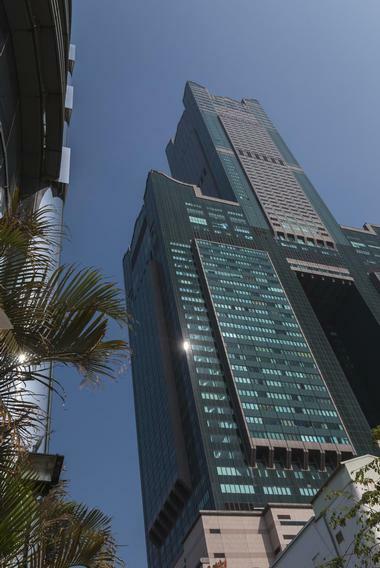 Located in Kaohsiung City, 85 Sky Tower is the second tallest building in Taiwan. Its name comes from the 85 stories inside this structure, stories that are filled with stores, boutiques, restaurants, a hotel, and office space. On the 75th floor there is an observation deck that is open to visitors, where they will find stunning views of Kaohsiung City, the Singuang Ferry Wharf, and the city’s beautiful harbor. Also on the observation deck, there are exhibitions displaying art, live music performances, and a small cafe where guests can enjoy food or a drink with a spectacular view. 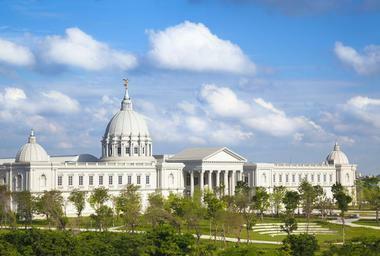 The Chimei Museum prides itself on being a museum for all so that people from all over the world and from all backgrounds can come to enjoy its exhibitions, which range from fine art to historical weaponry. Located in the Tainan Metropolitan Park in Tainan City, the permanent collection of the Chimei Museum consists of about 4,000 items, most of which pertain to Western history, art, and culture, but also extend into the areas of natural sciences and fossils. With several halls containing permanent exhibitions as well as temporary ones that rotate throughout the year, the Chimei Museum has something for every visitor. 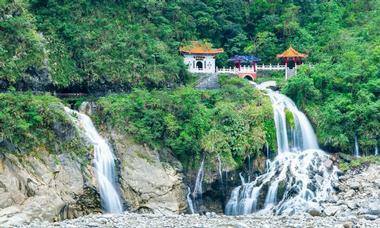 The Eternal Spring Shrine is located in Taroko Gorge and is named for the tall waterfall that springs from the cliffs beneath the temple and falls down the steep rocky cliffs below. The shrine and temple memorializes the lives of over 200 Taiwanese workers who died during the construction of the Cross-Island Highway during the 1950s. Visitors to the Eternal Spring Shrine will find a peaceful and serene place, with a small pavilion connected to the temple by a bridge. A little exploration will even reveal a cave behind the shrine, filled with Taoist statues and some trails that lead to even more beautiful natural features in this stunning natural setting. 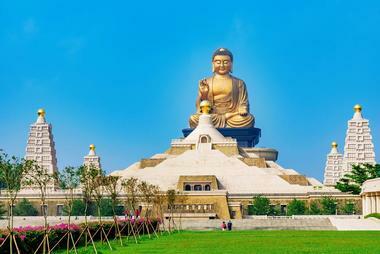 Located in Kaohsiung, the Fo Guang Shan Buddha Museum was built as a shrine to hold the Buddha’s sacred tooth relic, which is housed within the complex. The tooth of Sakyamuni Buddha was originally kept in India until the 13th century, when it was brought to Tibet. After the destruction of the temple where it was held until 1968, the tooth was brought back to India and finally, to Taiwan, where it remains today. The FGS Buddha Museum is a huge complex where visitors can engage in learning about Buddhist culture and history through exhibitions of art and artifacts and an educational program that aims to teach visitors of every background about this fascinating religion and way of life. The Formosan Aboriginal Culture Village celebrates the history and culture of the Aboriginal Taiwanese people. 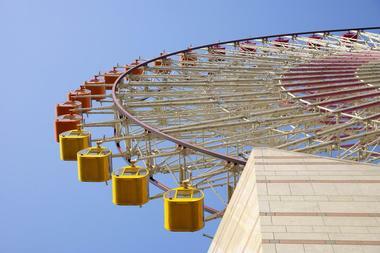 This amusement park is a wonderful destination for visitors of all ages that offers rides ranging from a traditional carousel to a wet and wild log flume. In Culture Square, visitors can also listen to traditional music and see traditional dance performances that reflect those of the aboriginal heritage. They can also take part in the making of some traditional crafts or, for the less artistically inclined, purchase some at the gift shop. In the Aboriginal Villages area of the park, guests can explore the large open-air museum to really learn about the traditional homes and lifestyle of the Aboriginal Taiwanese people. This open-air museum, located in the beautiful mountains of Jinghuashi, commemorates the gold mining industry in Taiwan. It is the first museum in Taiwan to have been opened with the intention of being an eco-museum, meaning that it attempts to give new life to the culture, buildings, and mining relics of Jinghuashi. The museum is located inside a building that was once was home to the Taiwan Metal Mining Corp, and inside it showcases the process of mining gold as well as the history of gold mining in the region and displays many real mining artifacts from the old mine in Jinghuashi. 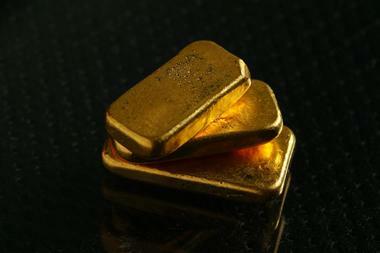 On the second floor, visitors can see the many uses of gold, from money to art, as well as a huge rock of gold that weighs almost 500 pounds. The goddess Matsu, or Mazu, is one of the most revered deities in Taiwan, thanks to the role she played in protecting the Taiwanese people on their journey to the island. The Grand Matsu Temple, located in Tainan City, is the largest of the many temples dedicated to her name, with an elaborate exterior and ornate rooms and shrines inside. It wasn’t always a temple, and in fact this huge complex was once a royal palace until the tragic death of the prince who lived there. Today, visitors can explore the giant main hall to find a massive golden statue of Matsu herself, flanked on either side by Qianli Yuan and Xufong Er, two legendary monsters that Matsu is said to have converted to help her as a force of good. The historical factory warehouse that now houses Huashan 1914 Creative Park was once home one of the largest producers of wine in Taiwan. 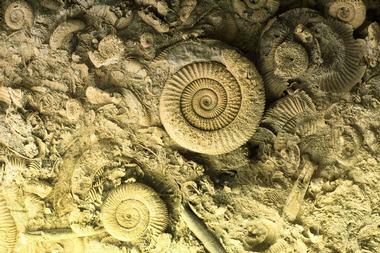 However, when a group of actors rediscovered it during the 1990s, the huge open space stood empty. The actors turned a small corner of it into a performance space, and soon local artists and writers joined them. Today, Huashan 1914 Creative Park is a huge creative arts center, one that celebrates music, art, theater, literature, and culture of all kinds. Huashan is a great place to find incredibly unique works by local artists as well as be an audience to some of the most talented individuals in Taiwan. The temple complex at Lotus Lake is so elaborate and colorful, it feels to many visitors like entering an amusement park. With the tall seven-storied Dragon and Tiger Pagodas as its centerpiece, visitors enter the Lotus Lake Taoist Complex by entering into the mouths of the dragon and the tiger to follow a tunnel to the temple. 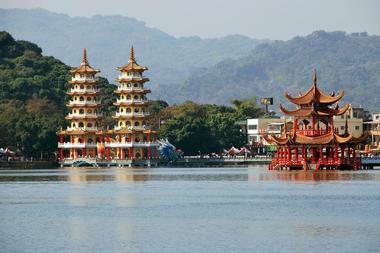 Similarly, the Spring and Autumn Pavilions, two traditional pagoda towers, are connected by a bridge shaped like a dragon being ridden by Kuanyin, the goddess of mercy. 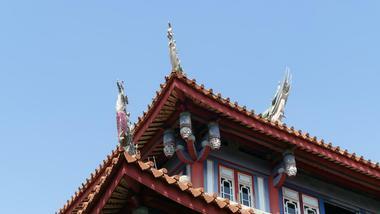 The statues and buildings are all very colorful and ornate, with a level of detail that will astound guests. Located in Taipei, the Lungshan Temple of Manka is a Buddhist temple that was built during the 18th century by settlers from Fujian, China. The temple was constructed in honor of Guanyin, a bodhisattva of mercy and compassion, and her image can be found in the temple among those of over 100 other Buddhist deities. 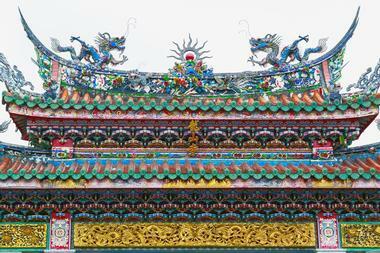 Longshan is a beautiful temple, with colorful figures and decorations on the roof depicting dragons, the sun, and other traditional Buddhist features. Several times a day, worshippers at the temple take part in group sessions of chanting and prayer, and a visit during these events is one that will not be soon forgotten. At the Modern Toilet Restaurant, guests will enjoy the crappiest food of their lives. From the moment they sit down at the table on a seat made from a toilet, patrons of the Modern Toilet Restaurant will find themselves in for a very strange meal. 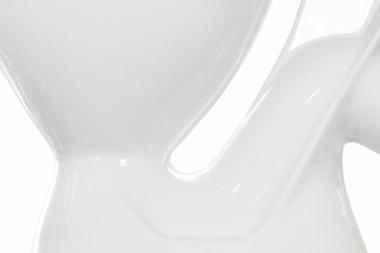 Drinks at this establishment are served in miniature urinals, and meals come served in bowls and dishes that are modeled to look like toilets and bathtubs. Despite the names and appearances of some of the menu items, which range from a pile of soft serve chocolate ice cream to stews and soups, all of which look particularly gruesome when served in a toilet bowl, the food here is delicious, and guests will never forget their experience dining at the Modern Toilet Restaurant. 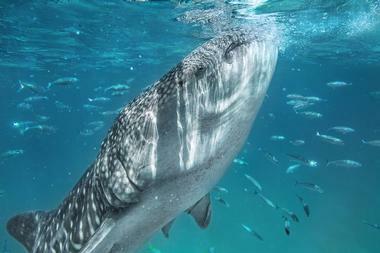 At the National Museum of Marine Biology and Aquarium, visitors can explore exhibits that represent many different marine environments as well as meet some of the fish and mammals who live there. There are three main sections within the museum and aquarium: Waters of Taiwan, Coral Kingdom Pavilion, and Waters of the World. Visitors can see beluga whales and penguins, and even touch some sea creatures in the kids’ touch pool, and a walk through the underwater tunnel will make guests feel like they are under the waves with the fish swimming around them. 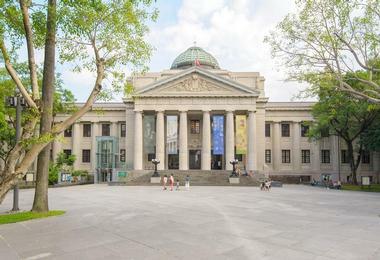 Visitors to the National Museum of Natural Science, located in Taichung City, will find themselves in one of the most popular and top rated museums in all of Taiwan. There are five venues on the museum campus, which include halls devoted to science, life science, human culture, and the environment, as well as an IMAX Theater where guests can experience the wonders of outer space like never before. There are also centers devoted to earthquake research and education and ecology, while a botanic garden allows guests to learn about plants from all over the world. 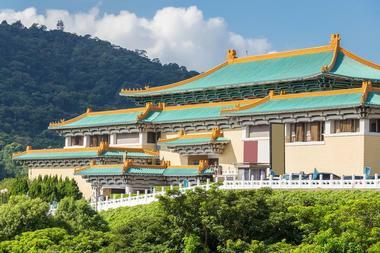 Located in Taipei City, the National Palace Museum holds the distinction of being one of the world’s foremost collectors of Chinese imperial art and artifacts. Many of the treasures within the museum were shipped to Taiwan for safekeeping during some of the more tumultuous and dangerous eras of Chinese history over the past century, and today its collection numbers over 700,000 pieces. Visitors to the National Palace Museum can explore a vast labyrinth of exhibits detailing the history of past Chinese dynasties and also spend time in the gardens of the museum, walking on paths along the edges of peaceful ponds and visiting traditional bridges and pavilions. The National Taiwan Museum was founded in 1908 by the Japanese government, during Taiwan’s period of Japanese colonization. It is the only museum in Taiwan to have been built during the Japanese colonial period that still remains open and at its original location today. Inside, visitors can view the many exhibits to learn about Taiwanese culture, wildlife, and geology, with special focus on the subjects of anthropology, zoology, botany, and Earth science. The museum offers permanent and temporary exhibitions, educational programs, and special events to its guests, with an intent to educate everyone who walks through its doors. When an old man, nearly 90 years old, first picked up a paintbrush and began adding color to the walls of the military dependents village where he lived in Taichung, no one had any idea what he would soon create. Huang Yung-Fu, more commonly known as Grandpa Rainbow, is a military veteran and the sole inhabitant of the Rainbow Family Village. Over the years he has painted the walls, houses, streets, and every other available surface of the small village with swirling designs, various shapes, and colorful characters, all done in every shade of the rainbow. 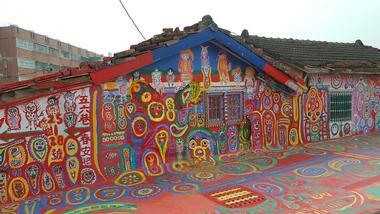 One of the best-kept secrets in Taiwan, the Rainbow Family Village is a place absolutely unlike any other. 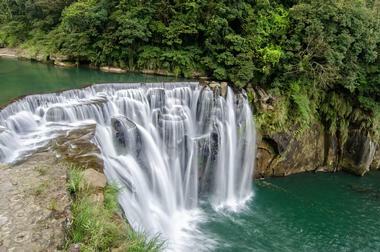 The Shifen Waterfall, which is about 20 meters high and 40 meters wide, making it the widest waterfall in Taiwan, is a horseshoe waterfall located in Shifen, in New Taipei City. It is situated on the Keelung River, and visitors to the waterfall will most likely notice a rainbow or two created by the spray of water as it cascades into the pool below. The Shifen Waterfall is not accessible by vehicle, but visitors can take a short, 15-minute walk from the nearby town; for more of a hiking experience, try the Sandiaoling Waterfall Trail, which will take approximately 3 to 4 hours to complete. 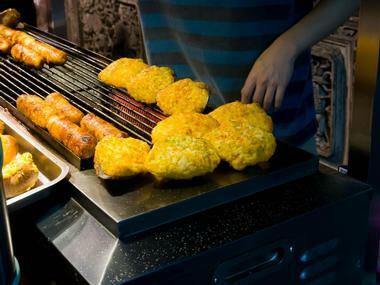 There are several night markets in Taipei City, but the Shilin Night Market is widely regarded to be the largest. This location, in the Shilin District near the Keelung	River, has been a market for over 100 years and is home to hundreds of stalls selling souvenirs, wares and, most famously, food. Visitors to the Shilin Night Market should definitely try local specialties such as the stinky beancurd, a fermented dish that is often compared to blue cheese due to its strong smell and complex taste, or an oyster omelet, served with egg, chives, and delicious fresh oysters. 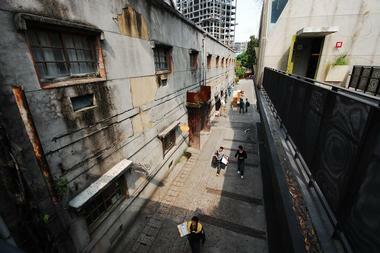 The Songshan Cultural and Creative Park is situated in an old building that was once the home of a tobacco factory. When it was converted into the Songshan Cultural and Creative Park, it was designed to be a hub for all things creative. 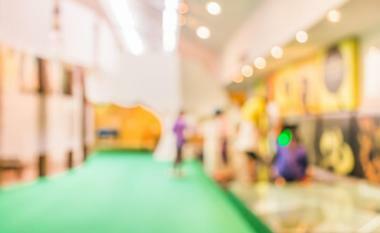 Visitors here can attend exhibitions from local artists, buy handmade goods at craft fairs, and find shops that sell books, vinyl records, and other creative works. The park is also home to plenty of conference and classroom spaces, where visitors can attend workshops, seminars, and classes about the creation of different types of art. The Taipei Fine Arts Museum was the first museum in all of Taiwan to be strictly devoted to the field of contemporary and modern art. Its focus is on Taiwanese artists, so that it can further the creation and expansion of art culture in Taiwan, although it also brings in many temporary exhibits from outside the country. 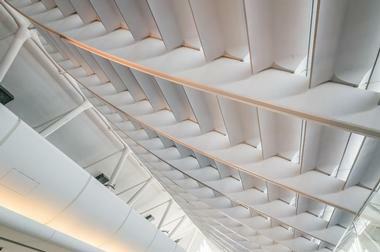 The very architecture of the Taipei Fine Arts Museum is a work of art in itself, and visitors to the Taipei Fine Arts Museum will find four stories of galleries and exhibition halls, filled with everything from paintings to photographs to sculptures for their perusal and enjoyment. 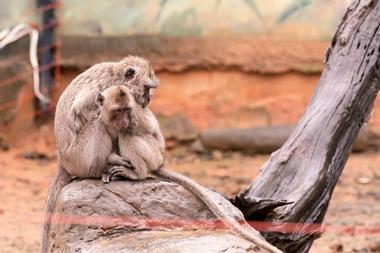 The Taipei Zoo was first opened in 1914 and is the oldest zoo in Taiwan. It is a leader in the fields of conservation and research, and visitors to the zoo can enjoy seeing a wide variety of animals from all over the world on this 400-acre park, including koala bears, penguins, and pangolins. The Taipei Zoo is also home to the Panda House, where visitors can see the panda bears who call the zoo their home. Free tickets to the Panda House can be obtained at the entrance to the zoo, as the facility can only take a certain number of visitors at a time. Taroko Gorge once belonged to the Truku people, who are indigenous to Taiwan, and the name they gave this place, Taroko, means “beautiful” or “magnificent”. One look at the sheer cliffs of limestone and marble, or the dramatic waterfalls and rushing rivers that look like trickling streams at the bottom of the gorge, is all it takes to understand why. 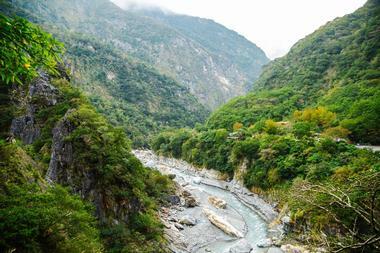 Visitors to Taroko Gorge can experience the beauty of the Eternal Spring Shrine, traverse the long, perilous-looking hanging bridges that extend over the abyss, and brave the dark of the Tunnel of Nine Turns to be rewarded with a spectacular view of the waterfalls at the other end. 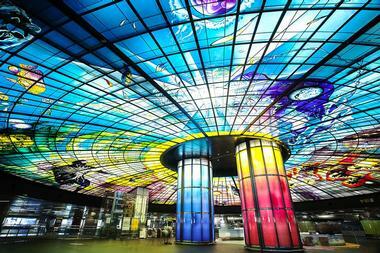 The Dome of Light is located within the busiest subway station in the city of Kaohsiung, but that doesn’t make it any less impressive. Made of over 4,500 colored glass panels, the Dome of Light is the world’s largest piece of glass art, arcing above the heads of subway users as they enter the station. The exterior of the station is also quite impressive, with curved glass entryways reminiscent of hands folded in prayer. The Dome of Light itself is made up of four sections, each of which depicts images regarding the universe, humanity, and Taiwan’s own complicated history. Cinderella might have had a more difficult time forgetting her shoe if it looked like this. 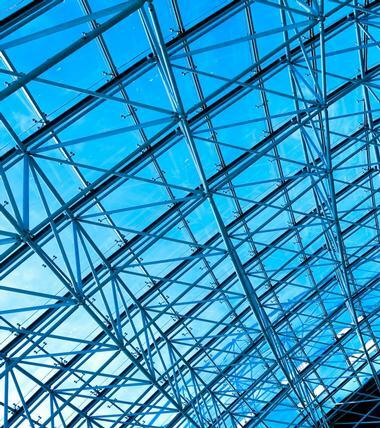 With 320 blue glass panes that rise up and form the shape of a massive blue high heeled shoe, this modern structure is one that’s certainly hard to miss. The building was only recently finished during 2016, and its intended purpose is to draw women to this place of worship. The High Heel Church is well suited for hosting weddings and other functions; there is a large outdoor stage built into the shoe’s exterior, and loveseats for guests inside the church. The rock formations at Yehliu Geopark look like they’d fit right in at a sculpture park or art installation, but in fact these strangely shaped features were sculpted by nature itself, over centuries and millennia of wind and waves that beat the stone into its current forms. There are the iconic hoodoos, tall columns of top heavy rocks that resemble mushrooms, and walls of rock covered in honeycomb-like pockets. 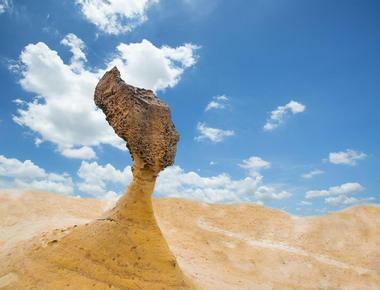 Visitors to Yehliu should take care to respect the delicacy of these natural phenomena, and keep their distance from certain formations, which are clearly marked, in order to preserve these amazing rocks for even more centuries to come.